Last week, Jason Aldean announced that he will be headlining a show at SunTrust Park in Atlanta Georgia in July of 2018. The concert will be part of his 2018 High Noon Neon tour and will contain the same opening acts that will be with him for the rest of the tour, Luke Combs and Lauren Alaina. 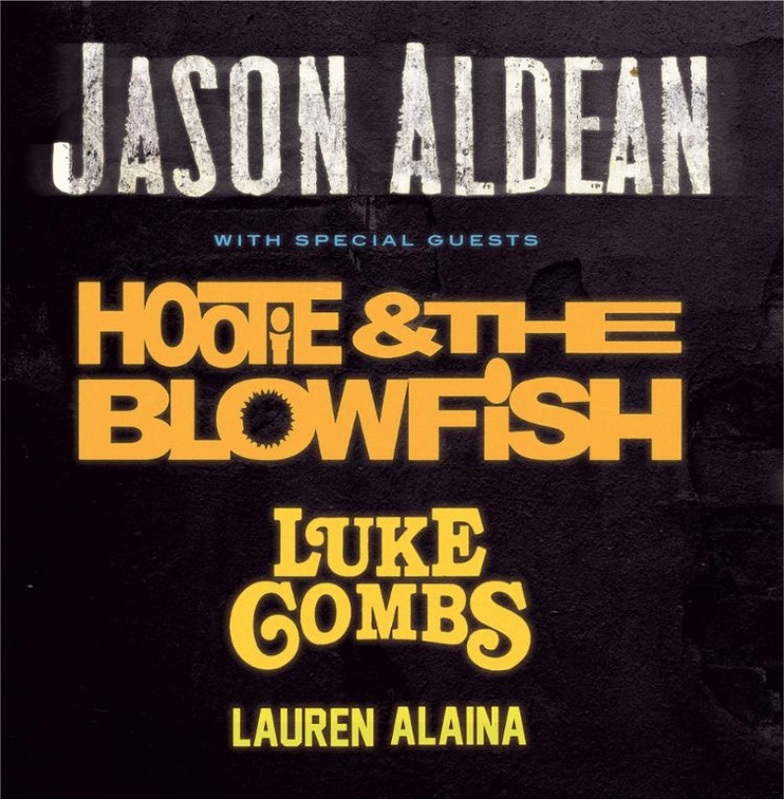 The surprise is that Aldean also announced that Darius Rucker will be reuniting with his old band, Hootie and the Blowfish, to help open the show. This band was last seen on the CMA Awards in 2017 for the opening performance. The announcement was made with Aldean and Alaina at SunTrust Park. Rucker and Combs were at CMC Rocks in Australia at the time and therefore could not be at the announcement. Tickets are proving to be very hard to get, with pre-sales beginning Tuesday March 20 and each quickly selling out.